PRACTICALLY all political parties have started their campaigns for the general election 2018 which, if held on schedule, should not be more than a couple of months away. They are also indicating the grounds on which they are soliciting the electorate’s support but which cannot be accepted as party manifestos. Some of the groups and parties are basing their claim to public support on single, catchy slogans. For example, the born-again coalition of religio-political parties, the Muttahida Majlis-i-Amal, or the MMA, wishes to save the state from falling into the hands of secular, liberal, democratic (by Western definition) elements. This is hardly a new call. All the principal organs of state, the executive, the legislature, and the judiciary and the services (military more than the civil), have been fighting the spectre of a secular democracy whose supporters are completely disorganised. Nobody except some overexcited clerics, driven by their lust for power, finds Islam in danger. Thus, the MMA is taking refuge under a motto and one that is quite outdated. It needs a proper manifesto to find a place in the electoral debate. 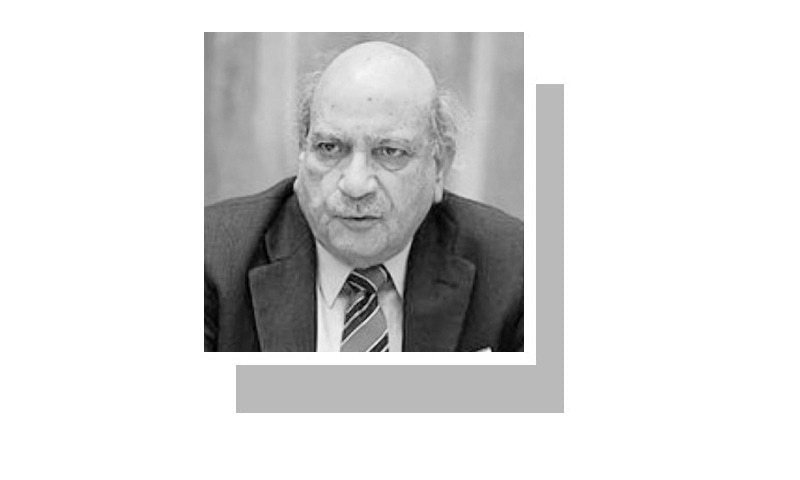 Similarly, the PML-N, the party of the grievously wounded tiger, has so far been seeking support on the basis of a single slogan — ‘honour the vote’, despite the advice of well-wishers, including Chaudhry Nisar Ali Khan, to draw up a proper political narrative. 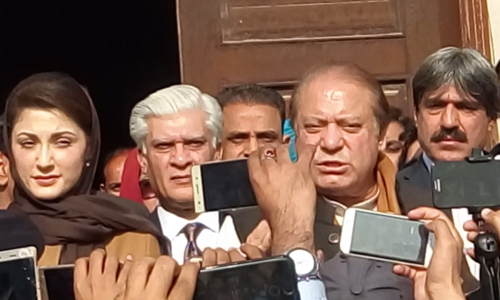 Mian Nawaz Sharif obviously thinks his slogan means that the right to govern Pakistan exclusively belongs to the people’s elected representatives. This is a powerful slogan despite its lack of appeal to the millions of citizens who do not qualify as candidates in elections held under the rules devised by the vulgarly rich. A manifesto should be a programme of action for the uplift of the state and the people. 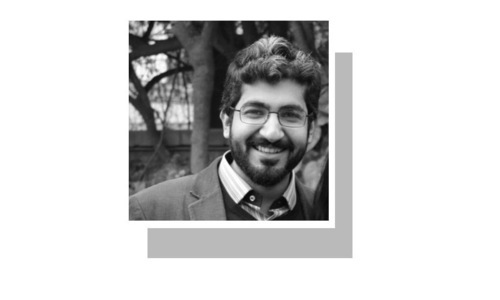 Besides, the Nawaz Sharif slogan can also mean a demand for elected representatives to respect the pledges and programmes the people are asked to vote for. However, the powerful impact generic slogans can have on the electorate cannot be denied. The most powerful election slogan in Pakistan’s history has been roti, kapra aur makan. The PPP may have forfeited its moral right to use it, but for the country’s poor multitudes this slogan is the only measure to judge the promise and performance of elected representatives. In India, Mrs Indira Gandhi based her bid for return to power after the post emergency defeat and humiliation on a similarly strong slogan — ‘gharibi hatao’ (eradicate poverty). Regardless of her success or failure in fighting poverty, the slogan has haunted all her successors in power and most of them have been obliged to include poverty alleviation in their election manifestos. 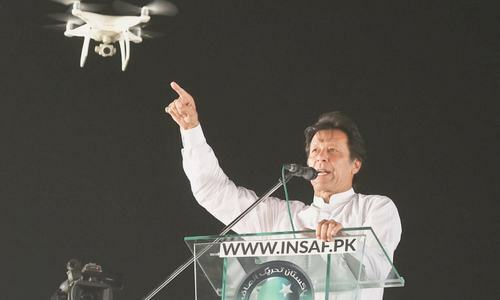 The adage that an election manifesto has to be more than a few mottos or ideals strung together has again been confirmed by Mr Imran Khan’s 11 vague mottos that he has presented as his party’s programme if he wins power. The beauty of a motto-like promise is that nobody can disagree with it. Thus, nobody can reject the PTI chief’s motto-like promise to provide quality education to the children of both poor and rich parents, and a similar promise to create a very vibrant system of generating revenue to ensure that Pakistan attains self-sufficiency. Such promises are meaningless rhetoric unless we are told what is meant by quality education. And do the facilities available to the rich children constitute quality education and how will the promise be fulfilled? When the PTI chief tries to elaborate on his mottos, he lands himself into trouble. When he states that he will strengthen the federation by creating a new province, merging Fata with Khyber Pakhtunkhwa and making local bodies stronger, he could be accused of concealing his plan to roll back the 18th Amendment. Likewise, when he promises to get women educated and get their inheritance rights recognised, he is seen as clearly trivialising women’s rights and concerns. What this discussion means is that a party’s election manifesto must not be confined to a generalised statement of desirable objectives; it should be a programme of action for the uplift of the state and the people both. A manifesto should also reflect a party’s prioritisation of the challenges faced by the country and the ways of meeting them. But what is the value of election manifestos in Pakistan’s politics? Most observers argue that a manifesto is not read by the party leaders concerned and in any case it is forgotten by them as soon as they come to power, and the parties that lose have no use for their manifestos. Much of this is true and reveals a situation that needs to be remedied. First, in Pakistan’s personality-centred politics, the party rank and file has no role in the drafting of manifestos (there is no evidence that the parties who are disclosing their plans or slogans consulted their executive committees) and the party cadres cannot own these manifestos even if they have read and understood them. Secondly, all parties should ensure that their workers monitor the political situation during inter-election periods from the perspective of their respective manifestos. The workers of winning parties will be able to keep an eye on their parties’ performance in power. The losing parties too will benefit from looking at politics from the perspective of their manifestos. This will also free political parties of their habit of sleeping in between elections. It is often said that in Pakistan election manifestos are meaningless as parties make promises they do not intend to honour. True, many false promises are made in the heat of elections. But even false promises are welcome as they are like ropes by which political parties can hang themselves. Further, while studying party manifestos, the issues that find no mention in them ought to be noted. For instance, nobody is talking about the rights of civil society organisations and this matter in unlikely to figure in party manifestos. Everyone seems determined not to rub the all-powerful establishment the wrong way. I agree false promises at least make us aware of what parties should stand for and what majority of people want. 'Roti, Kapra and Makan' or 'Gharibi Hatao' are welcome slogans even when they they cannot be fulfilled completely. Better such slogans than religious slogans which means nothing to the poor and unemployed who cannot afford to procure basic needs in life. For that path, they do not need political parties. In Pakistan, bribe, fake promises, fame and corruption accounts, whereas, in mature democratic countries, party's manifestos, sincerity of the leaders, and performance accounts and people vote accordingly. This is why, in the west, democracy prosper and important issues like: free education, health care, tax payment methods, justice and jobs opportunities for all is readily available - this is the main difference! Most of the political parties have pre and post election manifestos. After securing power the first one is dumped with a remark that it was an election promise ony, not to be taken seriously. Elections = Make people fool. Candidates are fighting to loot the treasury of the country. Yes agreed with the party manifestos in Pakistan to date have proved a waste time. And the religious parties are just selling their 'idea' of Islam to further their cause, nothing new there! No one is promising concrete 'action' to solve myriads of basic problems that plague our nation! The accomplishments of Western civilization cover all areas of life - methods of organization, politics, ethics, economics, and human rights. The core of modernism is not simply a question of liberal or conservative religious views. This is political solagan to allure common people and nothing else in these days. If I have a party and go for election, my manifesto shall be . 1. Present poor lot house hold budget while presenting national budget. 2 .Open modern schools beside out dated madarsas, providing better facilities to studens than madarsas managements. 3. Double the number of teachers training colleges and improve their standard. 4. Copletely abolish cheating and corruption in examination. 5. Provide cleaning healthy potable water to every one. Stop discharge of dirty injurious effluent in to rivers, canals and reservoirs by constructing and maintaining hundreds of treatment plants. 6.Doctors selected for medicine on the bases of their district wise domicile will be forced to serve that district for ten years. 7. Foreign firms who wants business in Pakistan will be forced to open complete manufacturing units in Pakistan like mobile phones, automobiles, televisions etc 8. Admission to engineering colleges on aptitude and subsidy to engineering industry. Indeed, great piece of writing. Depicting the true picture of Pakistani Political System and their role. If Political parties fulfil their promises after coming into power ultimately the results shall be fruitful and at the same time the Parliament becomes strengthen and One thing I would like to add is that the manifesto of religious party JUI F is the only party who follows its motto once it reserves the seats at federal and also provincial level.